There are a handful of days from my son’s life that stand out as extra special; days that I will never forget. He’s only 21, so, God willing, there will be many more, but as of now it is a small, cherished collection. I’ll never forget the day he was born. The day he started kindergarten. The day his high school basketball team unexpectedly won the CIF championship. The day he received his appointment to the U.S. Naval Academy in Annapolis. Yesterday was a day to add to the collection. It was Service Selection Day at USNA, the day that my son, along with the rest of the senior class, learned what their jobs in the military would be after graduation. They submitted their requests at the beginning of this year, and the Navy tries to honor them as much as possible, but nothing is guaranteed. 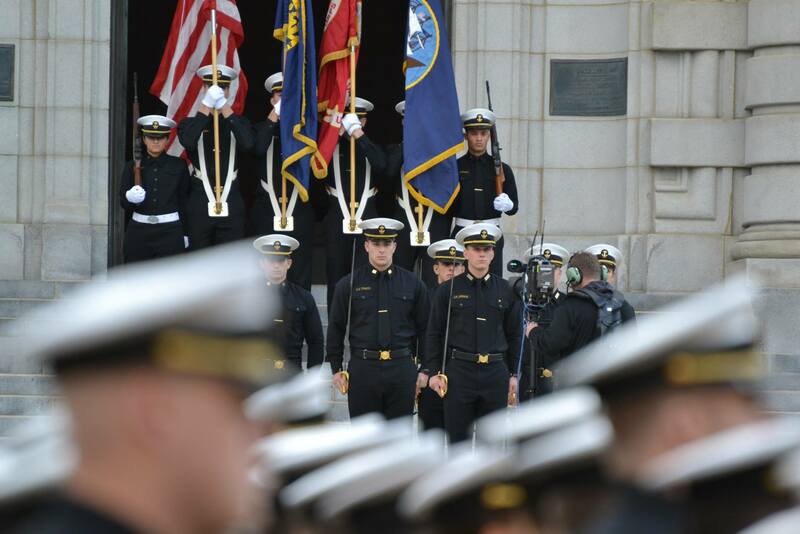 Senior naval officers consider Midshipmen performance and aptitude as well as the needs of the Navy in determining assignments. There is a great deal of anxiety and tension leading up to this day. For some, this is the culmination of years of hard work leading to a hoped-for realization of a specific goal. My son has wanted to be a pilot since he was about four years old, and a Navy pilot since about ten. It was to achieve this goal that he applied for and won an Appointment to Annapolis. At the beginning of this year, he formally requested Navy Pilot as his first choice service selection. Since he’s a son (and not a daughter) there was, quite typically, not a lot of conversation around Service Selection Day. He mentioned the date in passing several weeks ago, and I promptly put it on my calendar (in case he forgot to tell us and we had to ask what he would be doing the next five years.) But as the date approached, I sensed it was looming large in his mind. Last Sunday night, he brought the topic up and admitted he was nervous. He had no reason to doubt he would get pilot, but said he would be relieved to have the paper in hand. He said he would find out about 10 AM our time on Thursday. So, here’s how Service Selection Day actually went down in our house. On Thursday morning, our cleaning lady was coming and we were rushing around getting the house ready. At around 8:30 AM, I noticed on Facebook that there was going to be a video feed of Service Selection Day for my son’s Company. So, I excitedly fumbled around on the computer and got a video feed of the empty Company ward room. While waiting for things to get going, we went back to getting the house ready. Finally, I saw a few guys file into the room on the screen and someone began talking about (as far as I could tell since it was garbled) their pay package (which I figured was the intro to Service Selection). I saw one of my son’s friends on the screen so I texted him to say I couldn’t really understand what anyone was saying in the video feed. Then I went back to the house. Then my son called my husband’s cell phone, and my husband was trying to get my son on speaker and he ran to the computer to see if we could see him, and he was yelling into the phone that we had the ward room on the screen and that he should go in and we would be able to see him once Service Selection started. Meanwhile, my son is saying “Dad, Dad, Dad, Dad………DAD!, DAD!, DAD!……and finally, DAAAAAAAD!!!! !” And our son shouted, “I just got my Service Selection!” And we both said “What? !” And I said something about it not being 10:00 AM so how could he get his service selection already, and how come he wasn’t on the video feed? And then we both stopped and listened and then we heard that utter joy, that utter excitement in his voice as he continued. “I have good news!” We held our breath. “I got NAVY PILOT!!!!! !” I just remember screaming and jumping and hugging and crying a little bit. But mostly, I was incredibly relieved and happy. After we hung up, I realized we were viewing the wrong video feed. We were watching an old session about their retirement program. And when we tried to watch a replay of the Service Selection video, we saw some of our son’s Company-mates, but not him. There had been a problem with the video feed and half of the session was not captured. But, you know, it wasn’t important. We saw how the process worked and some of his friends getting their service assignments. And hearing our son’s excited voice on the phone was pure gold. I fired off several texts and messages with the big news and then headed over to my Gentle Yoga class. Which was absolutely the wrong place for me to go right then. I was as amped up as if I’d downed 4 or 5 Red Bulls, and trying to “center” myself and “breathe” was almost impossible.. I really should have done Zumba or some other activity that would’ve allowed me to jump and dance and sing, because that’s what I really needed to do. Twenty-four hours later, I’m still amped up. I can sometimes let the “What If’s” cause me great anxiety, and the “What if he doesn’t get pilot” was especially distressing to consider. So I am feeling relief. I am extremely grateful that one of any mom’s worse nightmares – her child suffering a crushing disappointment – did not come to pass. But, more than that, I take great joy in seeing my son achieve an important step toward his dream. Unlike grade school, where my husband and I were right there to provide assistance, prodding and guidance, this achievement was due entirely to his own efforts. I could not be more proud. Of course, there are more trials, tests and challenges ahead before the ultimate goal of Navy Jet Pilot is achieved. But now is not the time to worry about tomorrow, because I am content to savor this moment and cherish this day. The game of Bridge, the game of my parents, has finally hunted and overtaken me. Retirement can be a time to pick up new hobbies and try new activities. Retirement can also be a time to revisit past challenges. Looks like, despite my better judgment, I’m learning to play Bridge, which illustrates all of the above. And it’s more than a bit ironic since I’ve spent my entire life vigorously avoiding the game. My parents were avid Bridge players. My mother played with the ladies in various groups and clubs over the years, and both parents enjoyed Bridge parties with other couples. It was seemingly polite social activity, but make no mistake —–they were both highly competitive and loved nothing more than crushing their opponents. My first encounter came when I was about seven years old. My parents determined (since Bridge requires four people, two more than them) that they needed a ready pool of Bridge players, presumably to hone their skills for the kill at Bridge Club, and looked no further than their offspring to inflict Bridge lessons. Thank God Almighty I am the THIRD child and have two older brothers. Tom and Jim, who must have been about 12 and 14, were led to the card table like sheep to the slaughter. My dad claimed my younger brother as his partner and Jim took the news like a prisoner receiving a week of hard labor. I quickly deduced what was about to transpire was not going to be pleasant and wisely decided to go underground in my room the remainder of the evening. Not even Mary Poppins (the sole record I had, volume turned high) could drown the distinct sounds of irritation (parents) and misery (brothers) coming from the living room. I heard sounds of shouting and crying and words like “Trump” and “No Trump” and “Three Spades” floating down the hall. I heard Dad bellow, “Mary, Jim trumped my ace!!! !” (Dad spoke through Mom when he was particularly agitated or flabbergasted.) I did not know what this meant, but I knew it spelled big trouble for Jim. I thought I heard Jim whimpering. It was about this time I formulated my life-long goal of avoiding Bridge at all costs. Family Bridge lessons were perpetrated over the years but I always managed to evade them. There were a few close calls – for example, when I was older and Mom hosted the bridge ladies, one of whom cancelled at the last minute. My mom sweetly suggested she could “give me a quick lesson” so I could fill in, but I knew better than to take that bait! I understood it would be a slippery slope if I capitulated, so I quickly manufactured urgent errands and fled. You can imagine my reaction, then, when one night in November our good friends proposed a pleasant game of Bridge. Now, Renee and Stan (names changed) are dear friends who host us in their lovely home when we visit Annapolis. They have been more than generous to our family and we love them dearly. Anyone else, upon mere utterance of the word Bridge, I would have refused immediately. But I knew this was music that I must face. My time had come. So there I was seated at the table, with Renee as my partner. 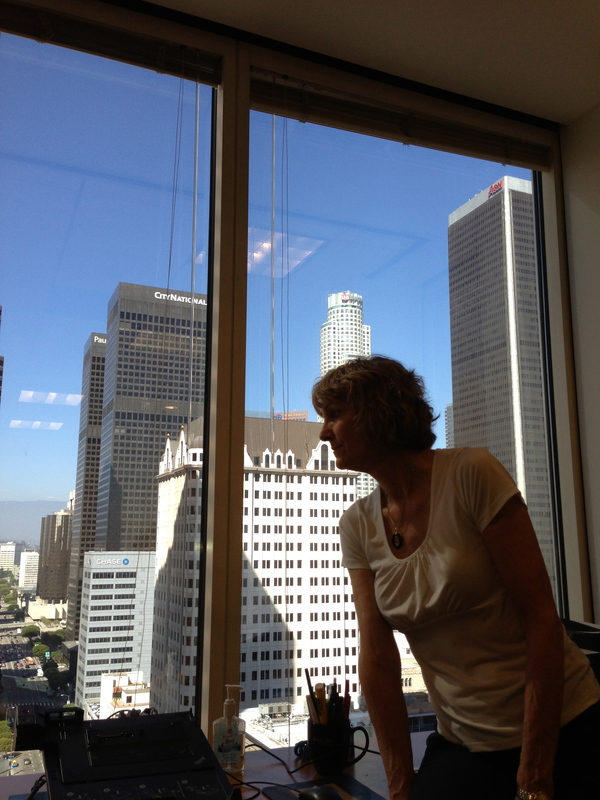 She is affable, warm and outgoing, but with that same steely competitiveness as my mom. Renee loves to play Bridge. She rattled off the rules and described the basics of strategy, and I tried to listen (through the buzz of anxiety in my brain and the chattering of teeth) while simultaneously controlling the terror in my belly as bad memories came flooding back. As the night wore on, I relaxed a little (once I realized Renee wasn’t going to yell at me) but it also became clear I am not a natural. I was hoping one or both parents had genetically passed on knowledge or skill that would render me a prodigy once I got going, but sadly that was not the case. In fact, I was rather a dolt. I loved when I was “dummy,” which is a perfect role for me, and could just lay down my cards and cheer Renee on. As part of my training Renee usually told me exactly what to do every step, which worked really well. Until, she suddenly announced that I should play a hand with no help – and I still hadn’t a clue what I was doing. Renee was gracious enough to remain calm but did say things like “Now, why would you do that?” It was clear I was no Goren. I counted and recounted on my fingers the points in my hand, the bidding made no sense to me, and I could only think about playing one trick at a time. Forget counting cards or any grand strategy for winning a round. It was pure survival. We played Bridge a few more times while we were there and I was starting to get the basics. But Bridge makes as much as sense to me as my son’s electrical engineering class. There are the basic rules, and then the more advanced rules, and then the rules that good Bridge players just somehow know, and then there is the larger strategy that very good Bridge players have a mind for. Renee assures me that Bridge is a complicated game and I will learn with practice. I’m not so sure, but for Stan and Renee, and for Mom and Dad, I’m going to keep trying. My husband and I spent Veterans Day 2013 in Annapolis, MD. Both Veterans Day and Annapolis hold great personal significance for me. My father was an Annapolis graduate who served a 30-year career as naval officer; ultimately a Navy captain and dentist, he was a Korean and Vietnam War veteran. He passed away on Veterans Day 2005. My husband is a retired naval officer and aviator, also an Annapolis graduate and Vietnam War veteran. I met my husband in northern Virginia at the tail end of his military career, while at his last duty station. Our son is a current Midshipman at the Naval Academy and now lives in Annapolis. It was the confluence of these factors that made this past Veterans Day in Annapolis a reflective, emotional experience for me. In the past 2-½ years since my son left home for the Academy I have been given a remarkable, eye-opening and at times unwelcome education on military life. I thought being a Navy Mom would be relatively easy since I grew up in a Navy household and we moved from Navy town to Navy town, always surrounded by other military families. I was used to the vernacular, the uniforms, and the way of life. I still feel at home when on a Navy base. My mother made being a Navy wife, with all the moves and separations and challenges, look easy. She was incredibly organized and competent, and running our home efficiently was her talent and passion. I felt I knew and understood the pitfalls of a military family more than most. But I was never an active duty Navy wife, and it’s a whole new ball of wax sending your child off to the military. I have come to a greater appreciation of the hardships military families face, although I fully realize I have thus far only peeked in the door. Any military “education” I’ve obtained as the daughter of a Navy captain or the mother of a midshipman is still at the preschool level compared to lessons borne by other military families. The fundamental shift for me in the past 2-½ years has been emotional, in that I am now the parent of one of the 2% of America’s sons and daughters that have committed themselves to defend our country in battle and have thus placed themselves in harms way. Non-military families are genuinely thankful and appreciative for others military service but it is impossible to fully understand (I know I didn’t) without that very real potential personal sacrifice. (I wonder if compulsory military service for our young people should be seriously considered and would be a greater deterrent to war, but that’s a separate discussion). Our son is my only child and we were intensely involved in every aspect of his upbringing. He is one of the two most precious people in my life. But two weeks after his high school graduation, we accompanied him to Annapolis for Induction Day, where he took his oath of office, after which pride turned to sadness when we left him to return home. It was arguably one of the hardest things either my son or I had ever done. He was left to complete “Plebe Summer” on his own, an intensive 6-week training regimen, with minimal contact with the outside world. For me, it was returning without him to an intensely quiet house, and the differences in routines, large and small that almost always included our son. At first, it felt like a death in the family, particularly with no contact with him for Plebe Summer. At a minimum, it was a pretty extreme college ‘launch”. But our son survived Plebe summer just fine and so did we. And we have learned through our son’s USNA career that everything has a purpose. 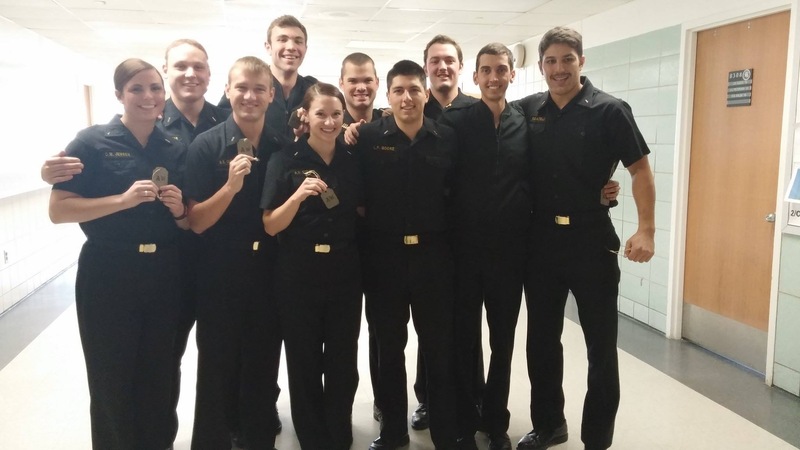 The Navy is teaching and preparing midshipmen for future naval careers. It is taking teenage superstars who have achieved much individual success and is molding them into a cohesive organization of young men and women who will work effectively as a team, by breaking them down and then building them back up. The breaking down part first involves separation from everything they are familiar with (including friends, family and surroundings), beginning with Plebe Summer and then building them back up through education, camaraderie and leadership within the Brigade. It does give me comfort that they are being expertly prepared for what may come. The Navy is also giving us family members an education in letting go. Difficult as it seemed at the time, Plebe summer was in fact a harmless practice “deployment” designed to teach us to separate from our kids. Following successful completion of Plebe Summer and the entire Plebe (freshman) year that followed, our son has thrived at the Academy, and we have thoroughly enjoyed his time at USNA. We joined the local Annapolis Parents Club and have met and befriended other Navy parents who we find to be, without exception, salt of the earth folk. I am on Facebook and chat pages for USNA parents. There is an amazing support system and bond amongst military families precisely because of the unique journey we have found ourselves on. 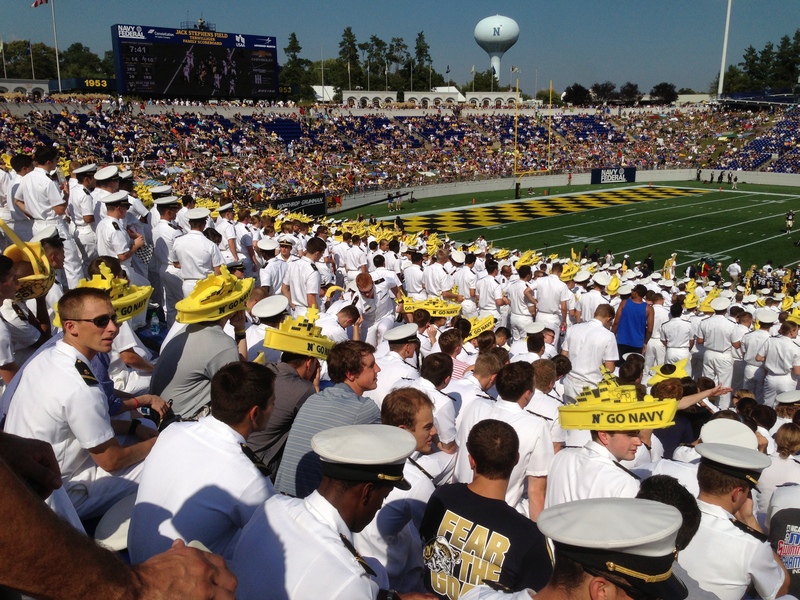 We have visited Annapolis often for football games and visits. We have watched our son grow in confidence and abilities. Now that he is a junior, he is taking on more leadership responsibilities. A strong and confident young man has replaced that nervous boy that we shipped off two years ago. I have never been more proud. But I know that the Academy is a relatively safe place preparing him for a very dangerous world. I know that our experience thus far has been deceptively comfortable. As his graduation next year looms, my thoughts increasingly turn to the next steps in the journey, when he begins professional training (e.g., flight school if he becomes an aviator) and later deployment. This will then be the real world with real dangers and I will be forced to fully open that door. Our recent travel to Normandy, where I grieved the loss of so many other sons, our association with other Navy and Marine parents, many of whom are now in the deployment phase of their sons’ and daughters’ careers, our increased exposure to the military on our numerous trips to Annapolis, a growing sense of what lays ahead for us – all of these have combined to instill in me a deep respect for the military families who have come before me. I connect more emotionally now to my father’s career with a spouse and three children at home, my mother as a military spouse managing a household on her own, my husband who during his active duty career lost fellow aviators in battle, and the countless military families across the country who bear their burdens daily.